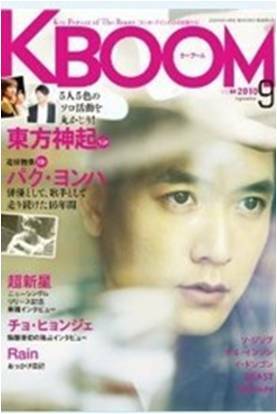 Published by GAM, “KBOOM June 2010 Issue” will feature a popular South Korean group. Sales will begin on 21st May. 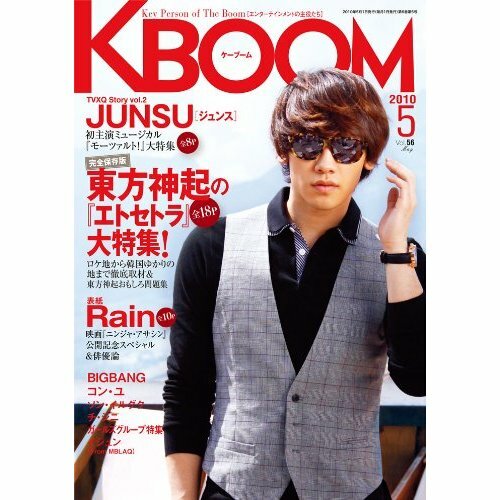 Jejung and Yunho from Tohoshinki will be on KBOOM July issue’s cover (T/N: a small area, as shown on the image above). Page 8 features article of Jejung’s TV series Sunao ni Narenakute/Hard To Say I Love You press conference. On page 4, it discloses Yunho’s appearance in J. RICH . Preview and stage greeting for the drama 『素直になれなくて』/Hard To Say I Love You. Location: Okinawa, unpublished photos to be shown! 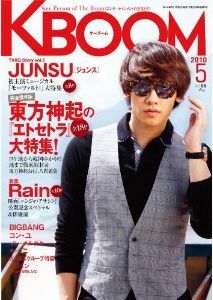 Ever since TVXQ’s debut in Korea, KBOOM has always been focusing on Korean entertainment news. In the supplement that comes with this month’s KBOOM, the editing team will publish everything that has got to do with TVXQ ever since their Korean debut, plus the readers’ comments and so on, in a TVXQ fan’s point-of-view. Everything that TVXQ has given us will be summarised in a page-long report. 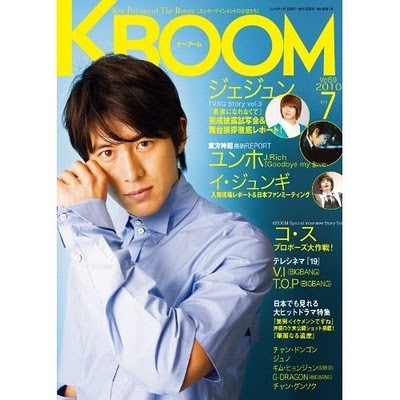 Please look forward to KBOOM.